Email has been the dominant channel of communication in any business enterprise of today, it is the most important tool for any EO (Enterprise Organization ) to make and break itself and it members, it is the host of regulations that apply to the sending, receiving and use of email. Managing and maintaining the credibility, authenticity, reliability and viability of the outbound emails is a major issue of concern for any EO. EO’s are suddenly tasked with a serious question regarding the regulation and control over the outbound Emails. Email Governance thus can be explained as a process of rethinking completely the business communications (out going) and related sensitive data (based on following criteria – Content, Branding and Legal Issues). This advanced Email scanning and other technologies can help organizations to achieve trusted email communications, and reduce the legal risks of regulatory compliance. Email monitoring is sensitive and important as Business communication are eternal and always lie somewhere beneath even when the process has been completed, so, it should be done in such a way that it leaves an everlasting positive effect on both the ends. Email scanning is an emotive issue and takes with it its pros and cons. Many employees and civil liberties complain that it hinders personal privacy. 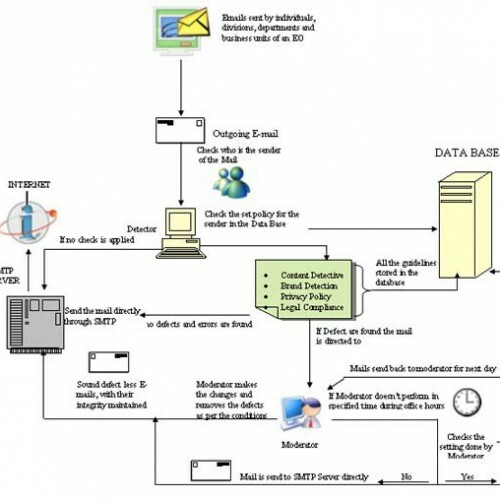 This is ironic; monitoring, blocking and managing sensitive data and information being traversed within the organization or even outside it, is primarily to protect the corporate information assets(including reputation) and is not intended to break senders privacy; the scanner is not at all interested in the senders Email, if it is perfectly alright when checked against corporate’s requirement. 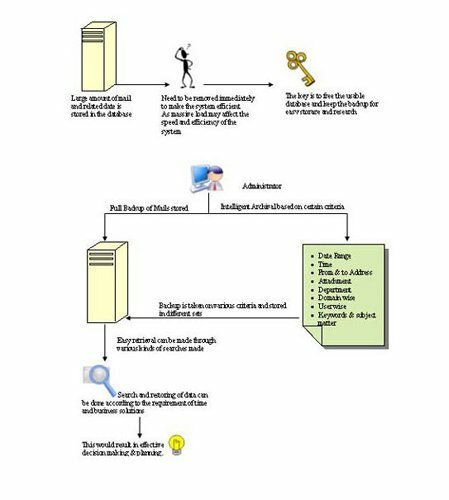 Block improper Email content but grant access to legitimate and time-sensitive data. Control and check the various privacy policies of corporate and maintain effective branding standards. Check the Emails whether they are sound and correct on the basis of legal platforms on which the EO stands. It is the most effective & easy-to-use tool, through which each and every outgoing mail would be passed, and fully scanned in order to find out every fault in the content written, images used or files being send in the mails. Every EO wishes to keep itself free from any kind of Legal liabilities and problems. For this EO does efforts to communicate in such a manner and with such content that it doesn’t get entangled in any such problem, about which it was not even aware of. Thus the Product would provide you basic guidelines for a sound communication based on the Acts and Policies under various Acts, prescribed by Law.